The Federal Reserve expects to raise short-term interest rates several times a year until 2019, which should allow rates to reach a sustainable rate of about 3%, Chairwoman Janet Yellen said Wednesday. Ms. Yellen, speaking before the Commonwealth Club of California in San Francisco, said with the U.S. close to full employment and inflation on target with the Fed’s goal of 2%, it “makes sense” for rates to be moved up gradually. 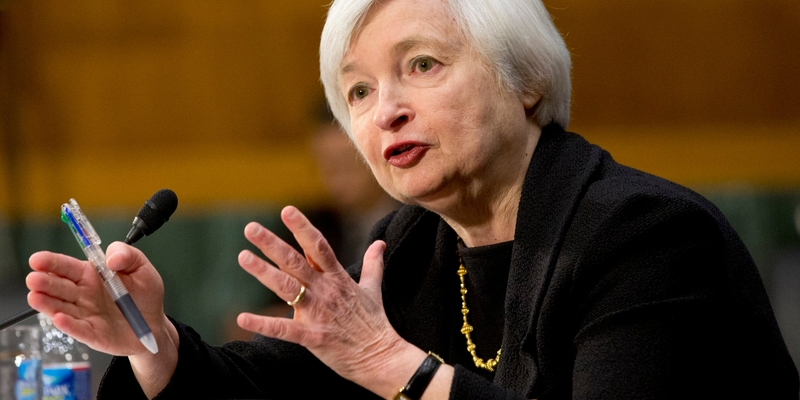 Ms. Yellen would not say when the next rate hike would be or how much rates would rise. The Fed raised the federal funds rate in December by 25 basis points to a 0.5% to 0.75% range. Ms. Yellen also cautioned that the ultimate pace of rate hikes could be modified if the economic outlook changes during the next administration. She did not mention President-elect Donald Trump by name. “The economy is vast and vastly complex, and its path can take surprisingly twists and turns,” Ms. Yellen said. Mr. Trump during his campaign had said Ms. Yellen, “should be ashamed of herself” for keeping interest rates so low. Ms. Yellen, whose term ends in February 2019, cited the importance of an independent central bank.